This is a slight variation from the Rival recipe using "cheddar cheese." Other similar recipes use 2 cups grated sharp process cheese. In a 2.5-quart slow cooker, combine all dip ingredients. Cover, and cook on High setting until thoroughly melted, about one hour. Alternatively, cook on Low setting until thoroughly melted, about three to four (3 -4) hours. Slice French bread into 1-inch cubes and cover with foil tightly until serving time. To serve, turn heat to Low setting. Then, spear bread cubes on fondue forks and dip into the Mariner's Fondue. This is one of my new favorite dip recipes. 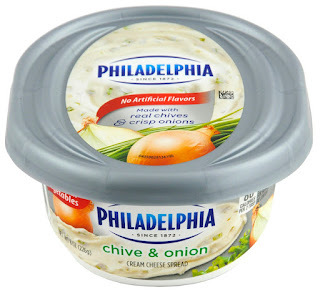 Pat says you may serve this dip either warm or cold. Mix well 1/4 cup of the Parmesan with the drained and chopped vegetables, cream cheese spread, and mayonnaise (or its substitute). Lightly apply nonstick cooking spray (such as PAM) to the inside of a 2-quart baking dish before spooning dip mixture into it. Then, top with the remaining 1.25 cups Parmesan cheese. Bake in the preheated 375ºF oven until warmed through and the the top is lightly browned, about 35 minutes. Serve with crudités or crackers shown above. Items on this menu which can be prepared in advance are denoted by #. Alternatives are suggested to help tailor the menus to your family's preferences. We have tried and enjoy serving items marked with an asterisk (*). or Five Cheese Pizza which could be a Snowman Pizza!